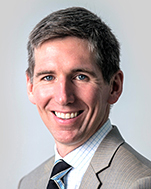 Matt Hougan is one of the world's leading experts on exchange-traded funds. As chief executive officer of Inside ETFs, a division of Informa PLC, he spearheads the world's largest ETF conferences and webinars. Matt was previously CEO of ETF.com, which sold the Inside ETFs events business to Informa in 2015. As a thought leader in the space, Matt is constantly looking for ways to educate investors, advisors and institutions on how to build better portfolios using ETFs. He writes regularly for leading publications, is a three-time member of the Barron's ETF Roundtable and is co-author of the CFA Institute's monograph A Comprehensive Guide to Exchange-Trade Funds. Prior to entering the ETF field in 2006, Hougan ran a strategic communications firm providing speechwriting services to Fortune 500 CEOs, U.S. and foreign government agencies, and select nonprofits. Earlier, he was the lead biotech analyst for Open Fund, the world's first transparent mutual fund. He is a 1998 graduate of Bowdoin College.